Hello lovelies! I will be offering three different classes in the middle of May for makeup artists who want to advance their skills as well as those who just want to learn how to apply makeup for their personal use. I have been getting a lot of requests as to when the next classes will be and what they consist of. The classes that I will be teaching will be hosted at my location with a limit of two individuals per class. As of the month of May, I am giving a huge discounts for all three classes only for the month of May. Contact me via email at khaleejibeauty@gmail.com or by phone at 05678586744 for more information about the following workshops. We will cover how to find the perfect foundation color, why you need to use primers, what correctors and concealers are, how to add false lashes, and so much more. This class is geared towards beginner and intermediate individuals who are just getting into makeup. We will cover how to do bridal and special event makeup. We will also go over some SFX basics like how to create a bruise, cut, etc. It is a great course for those who are interested in doing makeup for brides, television, or movies. 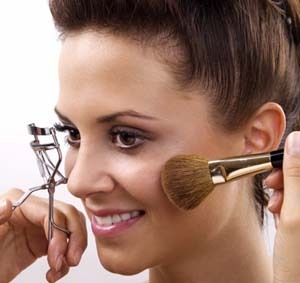 It is a little more advanced then the general course and geared towards those who understand basic makeup concepts. This class is catered to those who already are comfortable with their makeup skills but need to learn how to develop their business skills. We will talk about how to stand out as a makeup artist, websites, marketing tools like twitter or facebook, and many more. Please note that there is no certificate with this course and you are highly encouraged to bring your own makeup tools to the class. Hi alia, I want to take a class.